The Indianapolis Carmel invites the public to help them enter “this new phase of God’s plan for us” by joining them in prayer on June 21 during a 10 a.m. Mass of Thanksgiving celebrated by Father Frank Bryan, chaplain of Marian College, at their chapel. 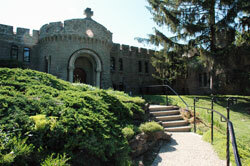 An open house follows the liturgy until the 5 p.m. vespers at the historic monastery at 2500 Cold Spring Road. Msgr. 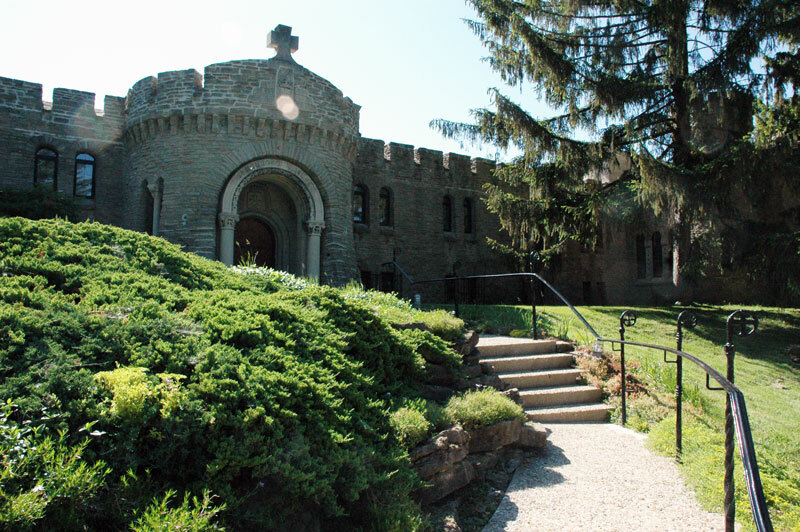 Joseph F. Schaedel, vicar general, said the sisters are pleased that the archdiocese has purchased the 17-acre monastery property for use as the Bishop Simon Bruté College Seminary. For seven years, Sister Jean Alice said, the Carmel’s popular Web site at www.praythenews.com has enabled the cloistered sisters to reach out to the world via the Internet to spread the life-giving power of contemplative prayer. Their Web site ministry will “retire” this month. Sister Jean Alice said the preservation of the monastery as sacred space for the archdiocesan seminarians fulfills the nuns’ dream that the property be maintained for a religious purpose. Franciscan Sister Barbara Piller, congregational minister of the Sisters of St. Francis in Oldenburg, said the Franciscan sisters are very happy to have the Carmelite nuns and their black Labrador Retriever, Lucy, live on the first and second floors of Theresa Hall on the motherhouse grounds. Theresa Hall is named for Mother Theresa Hackelmeier, the foundress of the Oldenburg Franciscans. The Franciscan sisters responded with “a spontaneous standing ovation” during their March 1 vote on whether to share their campus with the Carmelite nuns, Sister Barbara said, and they are looking forward to worshiping together at the Chapel of the Immaculate Conception.